Hi ladies! How have you all been? I've been so busy with work and stuff so hence the lack of posts. I've been on a real makeup kick lately so I haven't been doing very fancy NOTDs. Don't worry though, nail art will return shortly! I've also been having lots of fun playing with lots of new (to me) Face of Australia products which were kindly sent to me for review. One of these products is the gorgeous Mineral Lip Shine in Fairy Floss. "Face of Australia Mineral Lip Shine combines natural mineral pigments and hydrating ingredients for lasting moisture and colour. The silky formula contains no synthetic dyes and shades range from light sheers to thicker creams." Fairy Floss is a very pretty pink lipstick that feels more like a balm. They describe it as "the perfect go-between natural lip colour - not sticky or shiny like a lip gloss and not as heavy as a lipstick." 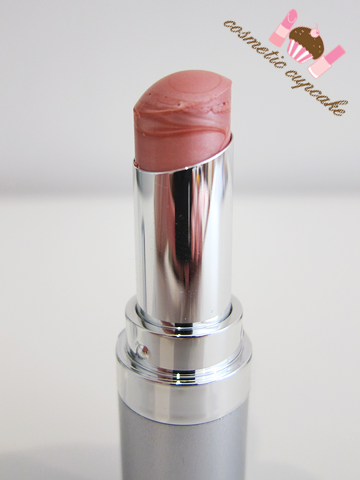 It's somewhat sheer giving a nice pinky sheen to your lips, fantastic for when you need a neutral/pinky lip colour. It's super moisturising and feels lovely on! The smell is OK - it's a little sweet but it's not too offending. It's packaged very sleekly in silver and there's a plastic protective cap included which is something I haven't seen before. Is this to prevent the lippie from drying out or something? I'm more of a lipgloss girl so if anyone could enlighten me that would be great! The Mineral Lip Shines are infused with natural mineral pigments for shine and contain antioxidant vitamins to keep lips soft and hydrated. It also contains natural sun protection filters which is a must for us here in Australia! Face of Australia Face Base Primer - I'm really loving this! Helps my makeup stay put for the day. Benefit The Pore Professional - review to come. Benefit Bella Bamba - review to come. Eyeko Grafitti eyeliner pen in Purple - I did an Eyeko haul this month and I am absolutely LOVING these liquid eyeliners!!! They are freaking AWESOME. Haul post soon! I am loving the combination of Face of Australia Mineral Therapy Liquid Foundation and Translucent Loose Powder and I've been using it over the last week. It makes my skin look and feel fantastic even though it's far from great. Full review coming up soon! I have so many polishes and products to review but so little time x( I kinda regret taking up that 2nd job.. but the experience will be good for me I think. Would I repurchase? : I love pink lippies so it's a definite yes! The colour is fantastic and I love that it feels great and is so moisturising. Face of Australia Mineral Lip Shine can be purchased from Priceline, Kmart, Big W and selected pharmacies Australia wide for $12.95. It is available in 7 different shades. A big thank you to Face of Australia for sending me the above product to sample! I was sent the above product for my consideration but this in no way influenced my review in any way. As always, my reviews are my 100% honest opinion. Ooh! I have that too! 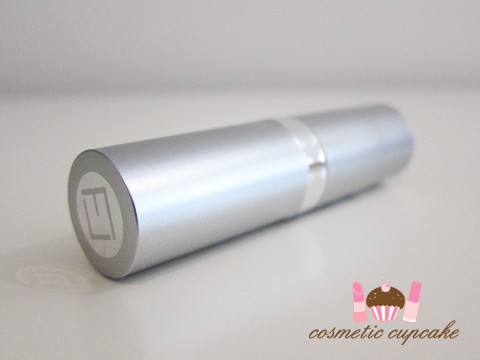 I don't know what the cover cap is for either, but I do think it's a great idea.. protective cap for lippies! I've had some lippies rolling around in my bag, turned itself and went smoosh on their lid. This will stop it from doing that. Odd thing to comment on, but the packaging for this lipstick is gorgeous! I love the idea of lipstick that isn't too "heavy" as well, since thats my main problem with lipstick. this lipstick is pretty neutral <3 love! That colour looks beautiful on you. ooh that lippie looks lovely and totally gorguz on you pretty lady! :) Lol, I've recently done an Eyeko haul too, I'm totally loving the Coral Crush blush, really pretty! i love the lipcolor its a nice natural color! Subtle and pretty. It looks wonderful on you! And from what I can see of it, your outfit looks cute. @Alex: It's not an odd thing to comment on at all! I love the sleek silver too and that it's not too heavy, it feels lovely on. Thanks for your sweet comment hun! @Jennifer: Glad you like it! It's a really lovely colour to add to my collection, I mainly have pinks or corals hehe. Oh no how come it didn't work for you?? @Mez: Thank you Mez!! You're so sweet =) Ahhh you're still young at heart!! 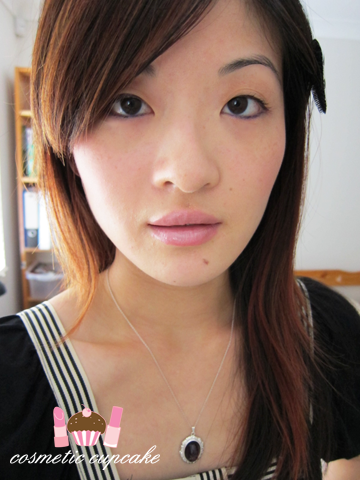 I'm afraid of strong lip colours =S I stick to pinks, neutrals, corals.. safe colours! @Jennifer: Awwww thanks Jennifer!! I wasn't a huge fan of showing my full face for a long time but I've gotten over the fear now ;) Expect to see my silly face more often! @Oreleona: It's very work appropriate but also still very girlie which is great! @wilbenshire: Thank you hun! The cap is different isn't it? I like it though! @Danielle: Awwww thanks Danielle! Your comments are always so sweet <3 The top I'm wearing in the pic is one of my favourites actually! And it was super cheap too hehe. 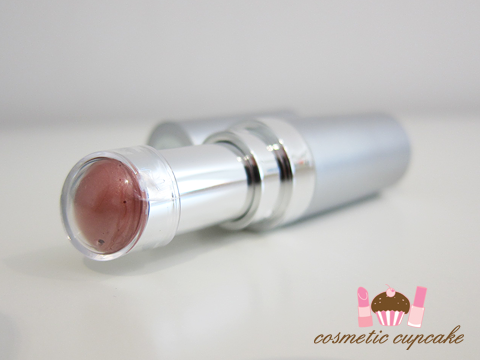 i rally like this mineral lips shine, it looks so natural and that's what i love about it !